The two nonprofit health IT groups hope to strengthen public-private partnerships and advance policy, starting by collaborating on the next Health Datapalooza. HIMSS and AcademyHealth announced they will collaborate to strengthen public-private partnerships and advance policy through year-round activities and outreach. The goal is to support an interactive data ecosystem to accelerate healthcare improvements. To start, HIMSS will collaborate with AcademyHealth on the Health Datapalooza 2019, the 10th annual health technology meeting, which will extend the conversation to new audiences. The deadline for presentation pitches has been extended until Oct. 22 at 5 p.m.
Officials said they’ll work together to expand the programming that reaches healthcare stakeholders, including Washington, D.C. policymakers. AcademyHealth President, CEO Lisa Simpson, MD said the arrangement will help drive better data and spur innovation. The groups will host a live Tweet Chat next week -- using #Datax10 -- to mark the 10-year anniversary of both Health Datapalooza and the HITECH Act. Experts from HIMSS and AcademyHealth will discuss lessons learned, how the data liberation movement has changed how data is used and what to expect over the next 1- years. The Twitter chat will begin Tuesday, Oct. 16 at 1PM. 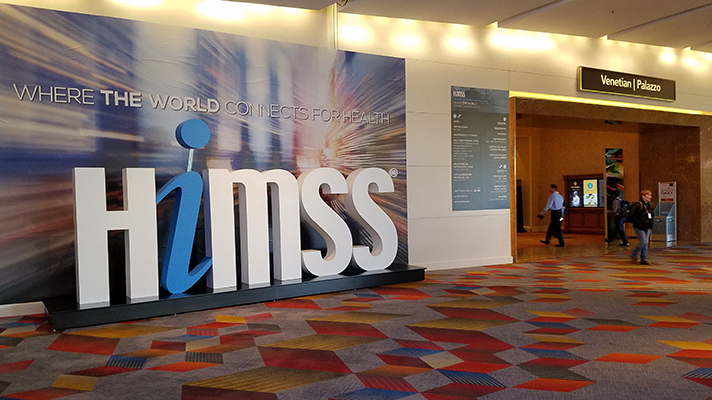 HIMSS Analytics this week delivered a state of the health IT industry report, which outlined where EHRs, cloud, blockchain, security and other technologies are today and where they’re headed. “The critical relationship between the private and public providers, government policy, innovators and citizens/patients/consumers has always been the driver behind HIMSS’ devotion of health thought leadership and data standardization, so that critical information can be seamlessly available at the point of care and knowledge management,” Wolf added.